Review Summary: A WEDNESDAY does pack in king-sized punch. Do yourself a favour: Watch A WEDNESDAY. Indeed, the conclusion is the sort that could only happen in the movies. And that doesn’t work is an effort steeped in reality. Oh well, then, who’s perfect? A Wednesday has to be seen, absorbed and debated. Go for it. A Wednesday is implausible—there is little chance that a man like this could pull off a stunt like this. But it is effective rabble-rousing. As Shah goes into his climatic oration, you might find yourself applauding. I recommend that you see it. It's obvious why one might be inclined to see this film in favourable light. A WEDNESDAY does pack in king-sized punch. Do yourself a favour: Watch A WEDNESDAY. Now this is a complete surprise. And an extremely pleasant surprise, I must add. 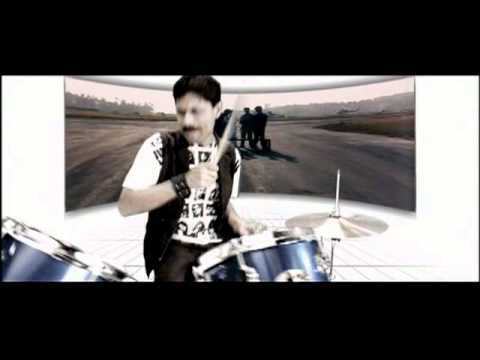 Well made neat editing a story that concerns you and me a film you cannot miss. Especially the unfolding of the twist towards the end will bowl you over! The script is brilliant and has been kept tight. But now we are being shown a different and a more hopeful side. AAMIR dazzled us, MUMBAI MERI JAAN floored us. 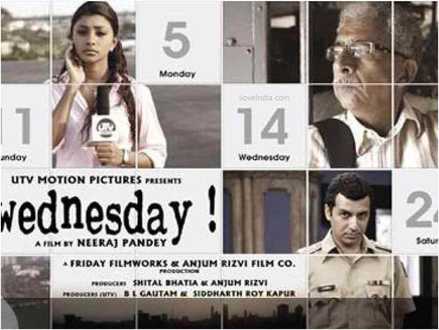 And on a friday that boasts of nearly three terrorist-related flicks, A WEDNESDAY comes out and delivers the knock out punch!